Dr. Ralph Profetto was originally born and raised in a small town in Italy. He immigrated to Canada when he was a teenager. After High School he attended McMaster University where he completed his undergraduate degree in a double honours - Biochemistry and Chemistry. After his undergrad, he completed a Masters degree in Organic Chemistry and then proceeded to attend McMaster Medical School. Dr. Ralph Profetto subsequently completed his Family Medicine Residency training at McMaster University. He has now been practicing in Stoney Creek for the better part of 30 years. he enjoys running, soccer and travelling. Most important of all, he is an avid AC Milan fan. Dr. Ralph Profetto's practice includes a wide range of medical issues, including complex geriatric care, pediatrics, women's and men's health, and prenatal care. He frequently does home and hospital visits for complex patients. He has hospital privileges at the Hamilton Health Sciences and St. Joe's Healthcare in Hamilton. Dr. Jason Profetto was born in Hamilton and raised in the Stoney Creek area for most of his life. After High School he attended McMaster University where he completed his undergraduate degree in Kinesiology. From there he attended McMaster Michael G. DeGroote School of Medicine to complete his undergraduate Medical Degree. Dr. Jason Profetto subsequently completed his Family Medicine Residency training at McMaster University as well. He is now fortunate to be back practicing where he initially started out his life - in Stoney Creek. Apart from medicine, he enjoys running, cycling, swimming, triathlons and soccer. He enjoys chess and reading and loves to travel as well. His practice includes a wide range of medical issues of all age groups, prenatal care, pediatric and geriatric medicine, women's and men's health, sports injuries, and small surgical procedures (including joint injections). Dr. Jason Profetto has hospital privileges at the Hamilton Health Sciences, St. Joe's Healthcare and West Lincoln Memorial Hospital in Grimsby. Dr. Michael Savatteri was born in Hamilton and raised in the Stoney Creek area. He completed an undergraduate Bachelor of Health Sciences Honours Degree at McMaster University. From there Dr. Michael Savatteri attended Medical School at the University of Ottawa and completed his undergraduate Medical Degree. He came back to McMaster University to subsequently complete his Family Medicine Residency training. Dr. Savatteri’s family practice encompasses a wide scope of disciplines, from pediatric to geriatric medicine, and including a wide variety of interests such as sports medicine, prenatal care, palliative care and preventive medicine. Dr. Savatteri encourages leading a balanced lifestyle and personally enjoys running, playing soccer, and spending time with his family. Dr. Michael Savatteri has hospital privileges at HHS, St. Joe’s Healthcare, and West Lincoln Memorial Hospital in Grimsby. Dr. Elena Schroeder was born and raised in Hamilton. She completed her Bachelor of Science in Kinesiology at Queen's University where she also played varsity soccer. She then attended the University of Ottawa where she attained her undergraduate Medical Degree. She returned to Hamilton to complete her Family Medicine residency at McMaster University and has now joined Profetto Savatteri Family Medicine as an Associate Physician. Her medical interests include palliative care, preventative medicine, prenatal and women's care. During her free time, she enjoys traveling, hiking, running and playing with her nieces and nephews. Dr. Leen Naji was born in Jordan and raised in Morocco, Montreal and Mississauga. She completed both her Bachelor of Health Sciences and Medical degrees at McMaster University. She is now completing her Family Medicine Residency training at McMaster. She is interested in caring for diverse patients of all ages, with a particular interest in women’s health, mental health, paediatrics and clinic procedures. She is also an active researcher in the fields of addiction and family medicine. In her spare time, she enjoys travelling, team sports, yoga, and spending time with family and friends. Dr. Brendan Singh grew up in Pickering, Ontario. 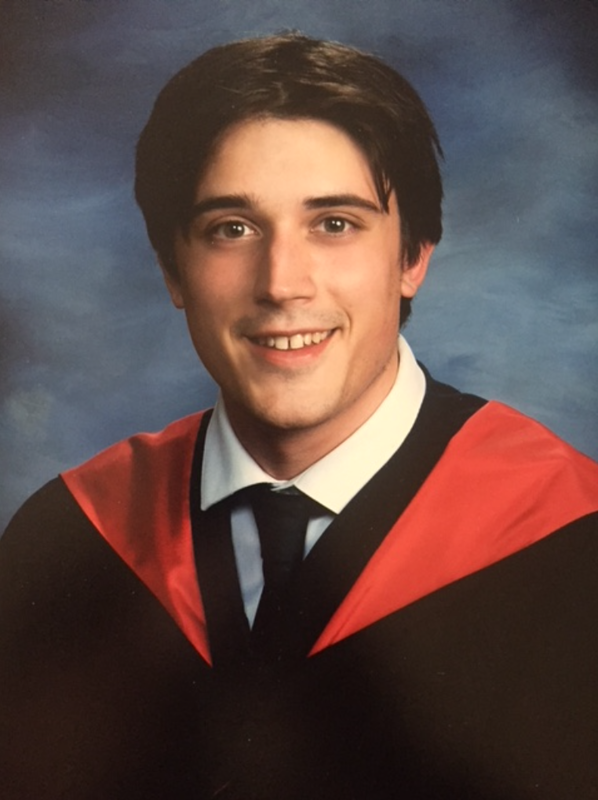 He completed his Honours Bachelor of Science, Minor in Finance, and Medical degrees at McMaster University. His complementary interests to primary practice include urgent care, and hospitalist medicine. He maintains tutor and mentorship roles within the undergraduate medical curriculum. Brendan plans to emphasize medical education, and allied health applications to preventative medicine in his future practice. In his spare time, he enjoys catching up on his favourite TV shows and movies, and practicing mixed martial arts. Dr. Nick Parle is passionate about building meaningful, long-term relationships with patients. 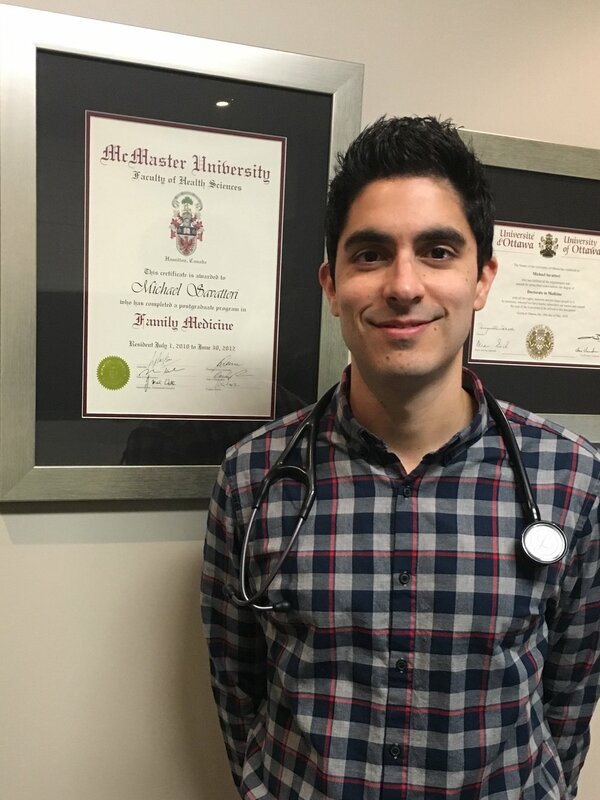 Born and raised in Hamilton, he received his medical degree at McMaster University's Michael G. DeGroote School of Medicine in 2018. His special interests include healthcare advocacy, public health, and investigating ways to improve health systems. He has previously served on the Board of Directors for Canadian Doctors for Medicare, managed an organization in rural Ghana that assisted HIV+ youth, and advocated for evidence-based health system policies in federal and provincial Parliament. In his spare time, Nick enjoys hosting radio shows, playing the trombone, reading non-fiction books, traveling, bike riding, cooking, and spending time with friends and family.